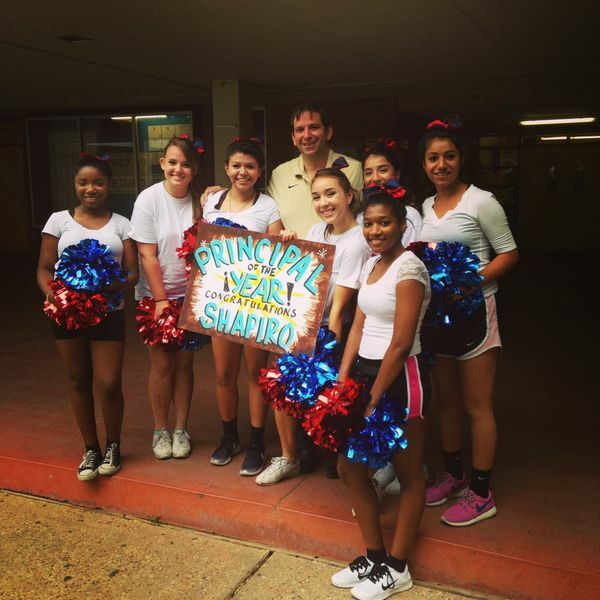 The cheerleaders created their own cheer to congratulate our principal, Mr. Shapiro, on his award of Austin ISD Principal of the Year! They met him in the courtyard with this sign first and then did the cheer. Even the cheerleader coach was kept in the dark about this, as the girls wanted it to be a surprise.